The House of Commons endorsed a Tory amendment calling for Brexit talks to be reopened. A proposal to reopen Brexit negotiations with the EU in order to change the Northern Ireland backstop has won the backing of MPs. 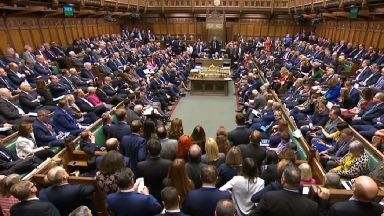 The House of Commons backed the motion by 317 votes to 301, a majority of 16, after parliamentarians debated what Brexit "plan B" should be. 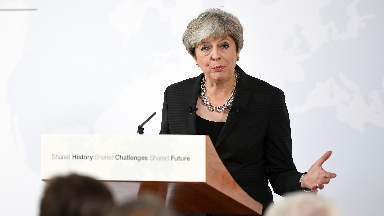 Following the result, Theresa May said she now had a mandate to take back to Brussels in order to reopen the withdrawal agreement her government struck with the EU last November. The Prime Minister earlier threw her weight behind an amendment tabled by influential Tory MP Sir Graham Brady, calling for the backstop to be replaced by "alternative arrangements" to keep the Irish border open after Brexit. The chances of the Brady amendment succeeding were boosted when hardline Brexiteers in the backbench European Research Group (ERG) announced they would support it. However, May's hopes of reopening her own Brexit deal were dealt an immediate blow by the European Union. In a statement, a spokesman for European Council president Donald Tusk said: "We welcome and share the UK Parliament's ambition to avoid a no-deal scenario. 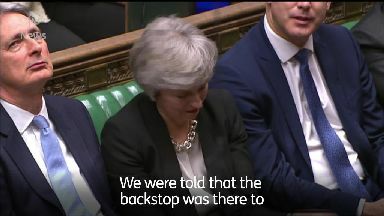 But speaking after the Commons vote, May said the verdict of MPs showed there was a majority in the House for a revised version of the agreement. MPs also backed an amendment by former Conservative minister Caroline Spelman and Labour shadow minister Jack Dromey which states that the UK will not leave the EU without a deal. Although the Commons backed the motion by 318 votes to 310, it is only advisory and not legally binding on May's government. Nevertheless, Labour leader Jeremy Corbyn agreed to talks with the Prime Minister on account of the Spelman-Dromey amendment passing, after previously refusing to negotiate with May until no-deal was ruled out. 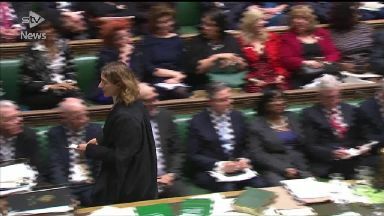 Addressing MPs after the vote, Corbyn said: "Now that the House has voted emphatically to reject the no-deal option the Prime Minister was supporting, could I say we are now prepared to meet her to put forward the points of view from the Labour party of the kind of deal we want from the European Union. Meanwhile, a motion tabled by Labour MP Yvette Cooper and former Tory minister Nick Boles which would have enabled Parliament to delay Brexit if it could not agree on a withdrawal deal by February 26 was narrowly rejected. The amendment would have given MPs the ability to vote for a Bill obliging the Prime Minister to seek an extension to Article 50 and postpone Britain's current March 29 EU exit date by up to nine months. But the Cooper-Boles motion was defeated in the Commons by 321 votes to 298. Another contentious amendment by pro-remain Conservative MP Dominic Grieves, which would have forced the government to cede six days of Commons business to allow and vote on various Brexit scenarios, was beaten by 321 votes to 301. Motions lodged by Corbyn and SNP Westminster leader Ian Blackford were also rejected in the Commons. Corbyn's amendment, which called for ministers to be given more time to prevent a no-deal EU exit, was defeated by 327 votes to 296. Blackford's motion urging MPs to back extending Article 50 - and to respect Scotland's 2016 Remain vote - was voted down by a large margin, with only 39 MPs backing it to 327 against. Speaking after the results, the SNP MP slammed the Brady amendment as having "ripped up the Good Friday agreement" which brought peace to Northern Ireland. "We were told the backstop was there to protect the peace process but tonight the Conservative Party has effectively ripped apart the Good Friday agreement," Blackford said. 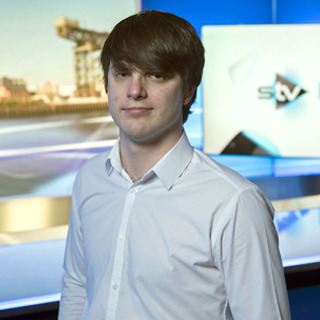 He added that Scotland had been "silenced, sidelined and shafted by the Tories". First Minister Nicola Sturgeon accused MPs of indulging May's "decision to chase a fairytale". 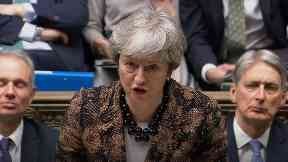 She tweeted: "The House of Commons could have asserted itself tonight - instead it indulged the PM's decision to chase a fairytale at the behest of the DUP/ERG, and increased the risk of no-deal in the process. "A woeful abdication of responsibility." MP David Mundell has welcomed the results on Tuesday night, speaking outside Westminster he told STV News: "I'm pleased there is a majority in the House of Commons for a deal. "I think that's what's clear tonight, that MPs would be prepared to back the Withdrawal Agreement if there were changes to the backstop and that's the message we've got to take to the EU."